Visit the Museum of Sonoma County to view their newest history exhibition, “Pacific World: The History That Binds Us to the Sea.” Imagine ancient voyagers who spread throughout a watery world, to the Spanish treasure ships known as Manila Galleons, to the nineteenth century traders who plied the coast from Sonoma County to Peru, it is a world unto itself. Explore the Great Ocean from a different perspective in Pacific World - a perspective where California is the eastern edge of the Pacific as often as it is the more familiar symbol of the American west. The Balik-sa-Dagat Bangka (canoe) hand carved by members of Bangka Journey as well as local community members and honored carvers. Images and stories of the Ti-aat, sister canoe to the Bangka. The Ti’aat is a sewn plank canoe constructed by amateur boat builders led by L Frank Manriquez. The Chewang chi Biyeg (River of Life in Kalinga language) tapestry. 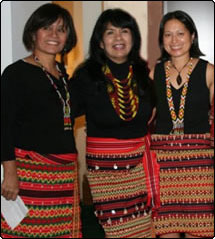 The tapestry was hand woven by members of Kalingafornia Laga led by Jenny Bawer Young, and the Mabilong weavers in the Philippines. A collection of antique maps of Asia and the Pacific, objects from nineteenth century shipwrecks including the Frolic and the Lammermoor. Cargo of the Manila Galleons, a collection of 16th century Ming porcelain traded across the Pacific. 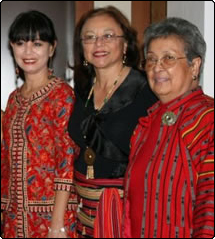 The legacy of Filipinos, Native Californians, Pacific Islanders and others whose deep and many-layered histories represent vibrant relationships with the Pacific World – past and present. There are upcoming events in conjunction with the exhibition, more information to follow. General admission applies. The exhibition celebrates Pacific World influences and the ongoing traditions that enrich our community. Treat yourself and your family to this wonderful exhibit! Bring your children and friends! Exhibit runs until June 2nd. FANHS Museum Now Open in Stockton! After more than 20 years in the making, FANHS now has historical museum in downtown Stockton. FANHS selected the central valley city as the museum’s home site because of its historical significance in Filipino American history. A key crossroad for newly immigrated Filipinos in the early 19th century, it served as both an agricultural hub for Filipino farm workers, and a welcome waystation where those passing through could find familiar faces, traditional food, and kababayan camaraderie. A wealth of Filipino American history is on display at the museum, and plans are underway to feature exhibits from each FANHS chapter as well. 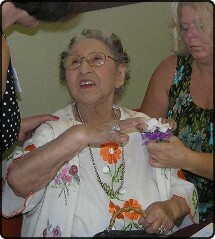 For more information about the museum, including location and hours, go to http://fanhsstockton.com/fanhs_museum. In July 2016, the California State Board of Education approved a new curriculum framework for high school students that includes content about World War II in the Philippines, and the significant role of Filipinos who fought alongside the United States as members of the United States Army Forces in Far East. The change comes after years of advocacy work by the Filipino American community and the Bataan Legacy Historical Society. 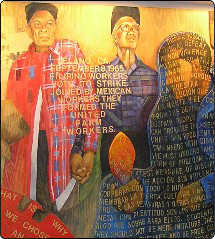 By requiring this content in California’s curriculum, the change builds upon earlier legislation such as AB199 which encouraged inclusion of such content into California curriculum, and AB123 which required inclusion of Filipinos’ contributions to the California farm labor movement. California is the first state in the country to include this content in its curriculum, according to the Bataan Legacy Historical Society. The new curriculum is now being developed for 11th grade U.S. History content. 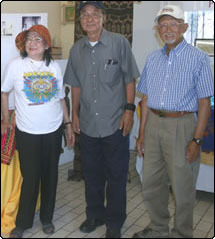 On April 6, 2019 the Bataan Legacy Historical Society commemorated the 77th Anniversary of the Bataan Death March. This annual event commemorates the long-awaited recognition of Filipino and American soldiers who valiently fought side by side in World War II. The brutal march began on April 4, 1942, when the US surrendered the Philippines’ Bataan Peninsula to the Japanese Imperial Army. Seventy-five thousand Philippine and US soldiers, along with civilians, were forced to walk 65 miles in the sweltering heat of tag-init from Mariveles to San Fernando, Pampanga and finally, Camp O’Donnell, Capas, Tarlac.The prisoners suffered severe abuse and senseless killings. Weakened by starvation and sickness, many perished along the way. Those unable to walk were left to die. Those who survived were taken to San Fernando train station and crammed into stifling boxcars bound for prisoner-of-war camps where many died of starvation, mistreatment and disease. It wasn’t until February 1945, nearly three years later, that US General Douglas MacArthur made good on his word to return to the Philippines. US-Philippine forces then recaptured the Bataan Peninsula, and liberated Manila that March. A military tribunal tried and convicted Lieutenant General Homma Masaharu, Commander of the Japanese invasion Forces in the Philippines, for war crimes, after finding him responsible for the death march. The Bataan Legacy Historical Society’s foremost goals are to include this seminal part of World War II history in high school history and social science curriculums throughout the US, and to document the stories of WWII veterans and survivors in the Philippines. 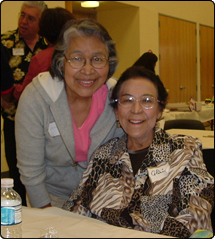 Sonoma County resident MaryAnne Tabor, daughter of John Tabor, shares the story of her father’s own experience in War World II in this excerpt from Remembering Our Manongs, Sonoma County’s Filipino American History. It is a poignant testament to the resilience and tenacity of a man who endured the dark days of war, then immigrated to the United States where he raised a family, and established himself as a successful business owner and community leader. …And when the war broke out, he was teaching, so he was immediately enlisted in the American Army. He was a survivor of the Bataan Death March. He was captured and taken to a prison camp. He was thrown amongst the dead in the prison camp because he had been so emaciated from starvation and dysentery that they didn’t even think he was alive. He had been down to skin and bones and was able to through escape through the wires. He then joined the Philippine Scouts in the mountains and he fought as a guerrilla until the end of the war. After 117 years, the Bells of Balangiga were returned to the Philippines on December 11, 2018. In 1901, in the town of Balangiga, Central Samar, hundreds of Filipino villagers, armed with bolos, used one of the town's church bells to signal the start of a massive attack, one of the bloodiest single-battle losses of American occupation forces in the Philippines. The U.S. Army brutally retaliated, killing thousands of villagers, during the Philippine-American War. According to Filipino historian, Rolando Borringaga, American soldiers were told to shoot villagers 10 years and older and to turn the island into a "howling wilderness." After the war, the Americans took the three bells claiming them as spoils of war. For decades, Filipinos have been demanding that the bells be returned. Two of the bells had been displayed for decades at FE Warren Army Base in Cheyenne, Wyoming. The third bell was with the US Army in South Korea. 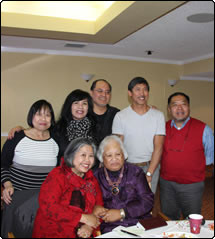 The return of the bells was accomplished through a concerted effort supported bv varioius Filipino-American organizations, U.S. Veteran organizations and goverment agencies. At a special ceremony, Philippine Defense Secretary Delfin Lorenzana said, "It's time for healing, it is time for closure, it is time to look ahead as two nations should with a shared history as allies."